Hi again! 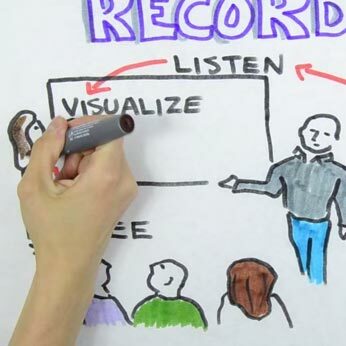 Matt here from Sketch Videos, with another breakdown on the global state of whiteboardery. In this issue we look at alternatives to using a slide deck—because everyone knows that once the bullet points begin, everyone drifts off to sleep. No prizes for guessing my number one alternative communication method! 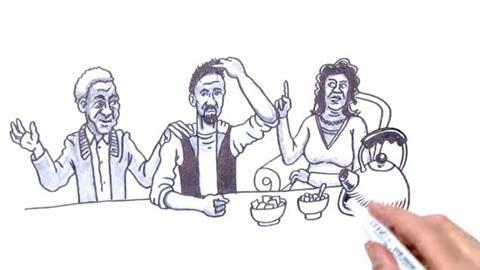 Given the topic of racism has dominated the news lately, we thought this video we made for the Human Rights Commission was due for some timely promotion. It's so rewarding to be involved in a project as topical as tackling racism in Australia! If you like it, feel free to share this message! You’ve done your user research, triangulated data from various sources, pondered on what it all means, and are eager to present your findings to stakeholders. So what do you do? 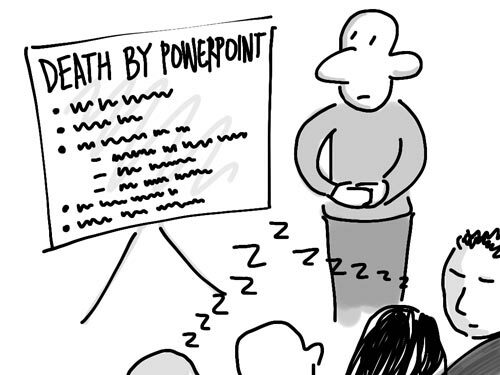 Load up Powerpoint or Keynote and start creating slides filled with bullet points? Infographic: engage a graphic designer or use a tool like Canva, and the result is sure to wow everyone. Poster: whack a piece of paper filled with colourful notes on the wall—people can't not stare at it! Comic: it needn't be a work of art—simple stick figures and speech bubbles can still be powerful. Prezi: there's a bit of a learning curve, but when done right it can really make your message pop. 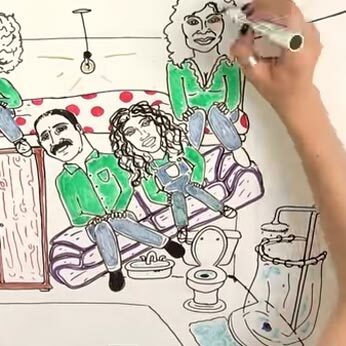 Video: in particular, a sketch video of course! There's something mesmerising about watching people draw. 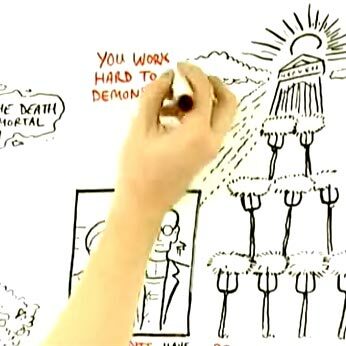 An absolutely fascinating RSA Animate video about the Secret Powers of Time by Professor Philip Zimbardo. Well, I hope you found something useful or fun in this issue of Feelin' Sketchy. By the way, did you know we're on Twitter and Facebook? Connect with us!